This past week was one of my busy ones,as a food writer and food instructor. If you remember, I had mentioned it on our Anniversary that I write for a magazine called Malayali, every month. I write for their dessert column. Aaaand,I've been contacted by another upcoming magazine to write for them,about food, but with a twist. In the meantime, I was doing celebrity interviews too, for Malayali.In between all these writing stuff, I was planning the menu for the upcoming classes till December. Each one is different as I don't want any repetitions. So all these were to be submitted in the same week! My already full hands, were overflowing with projects.But,I am certainly thankful,for all the opportunities that have been coming my way! So,while I was busy interviewing some, I was being interviewed too! 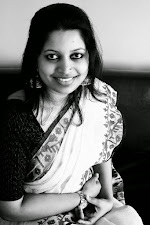 This time,from Sulekha.com. As always,these kind of emails finds it's way into my inbox while I'm fast asleep. So when I see that email,first thing in the morning, it just brightens up my day,more than what it already is! You can read my interview here. While I was in Kannur, I did make a few cakes, to order. I couldn't take pictures of all of it excepting for a few you just saw. 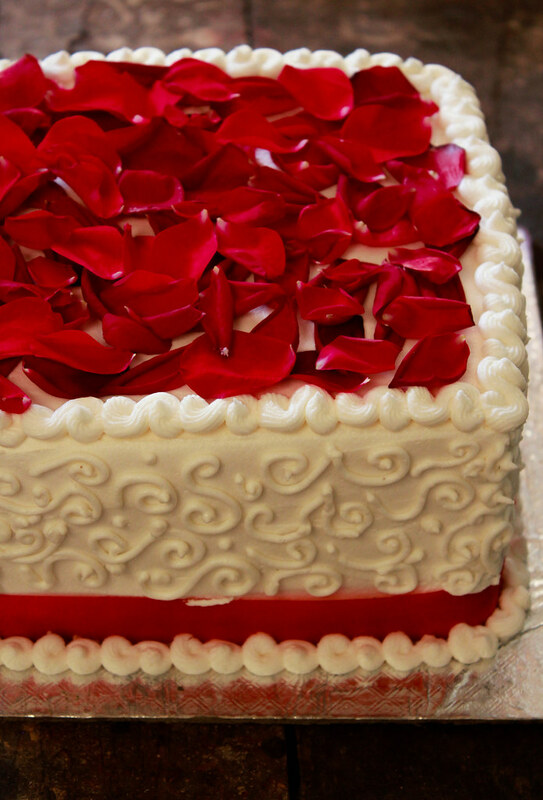 It was from March - May and that's the most terrible time to make decorated cakes in Kannur. 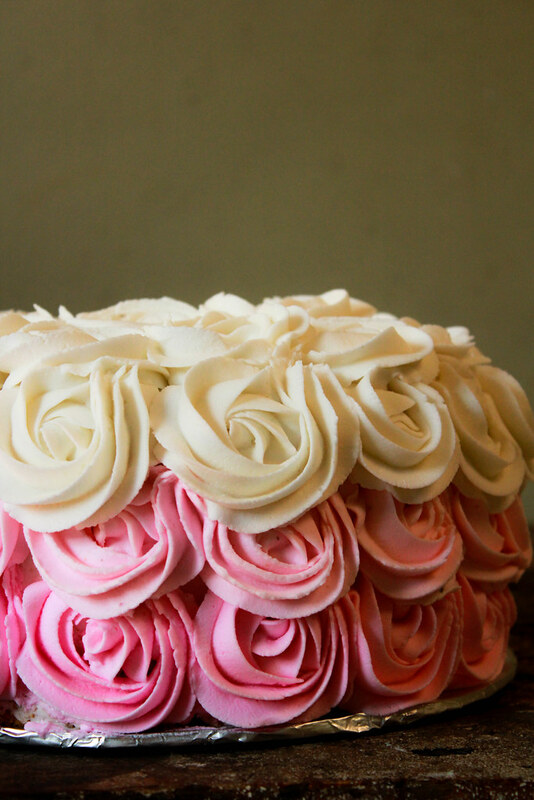 It's very hot and humid then.The buttercream roses fell off of the cake from one side as I was finishing the other.The fondant sweated and the chalice, that I painstakingly moulded with my hands, melted into a puddle by the time I left it to set. 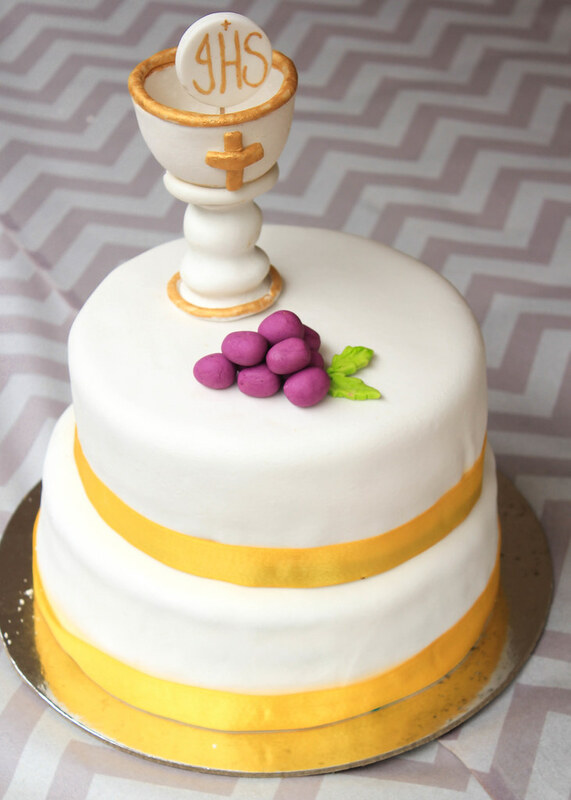 That fondant cake had to be delivered to a hilly area about an hour away from the town. Of course, once we got there, I had to touch it up quite a bit! It was fun, anyway! Did that title scream healthy to you? It did,for me.This recipe came into my mailbox a few days ago and it was called my name. The more I thought about the ingredients, the more I felt like baking it,which I did in a few hours time. Ian adores cakes,cupcakes & muffins. Cookies, not so much.He wakes up these days,not calling out for his 'Amma', but, by chanting the words Oats,Cake & Cheese. It was Buvva (Bun) & Yeye (Milk) today. As I set out to make these,Ian came running into the kitchen screaming,Cake! He says that word very,very clearly.When he saw me bring my flour containers from our pantry,he really thought I was going to make a cake.I told him that Amma is not going to bake a cake,instead, a muffin and later realised that it's like talking to a wall because he is just too small to understand my gyan.So I told him to wait patiently till the oven timer rings.He knows that very well because every time the oven timer goes off, he comes and tells me there's something going on in the kitchen. I left the oven light on, just so that he could come and take a look to see what's happening inside. Luckily, our oven door doesn't heat up when it is on.The house did like a bakery while these muffins were baking. 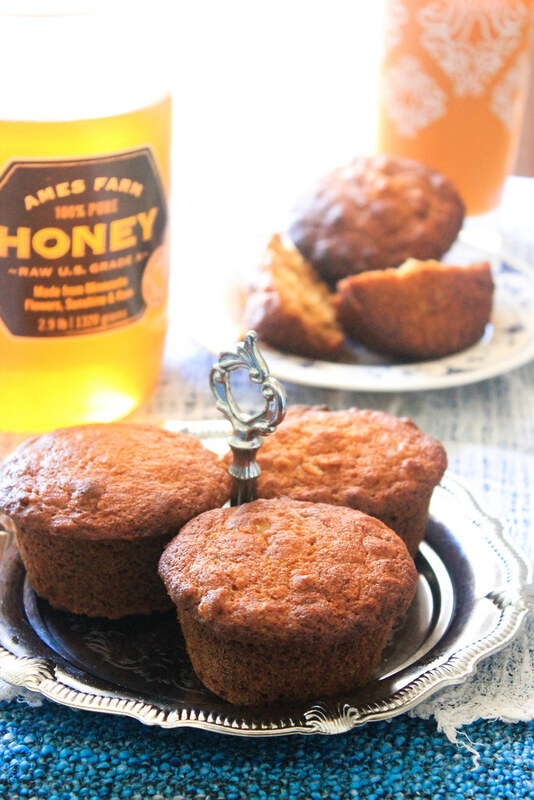 These muffins were first made by the Spike Mendelsohn,after being inspired by the new beehive at the White House garden.When I first read the name, it reminded me of my BANANA -BUTTERMILK OAT MUFFINS that I made when we went for our Babymoon to Las Vegas back in 2012. 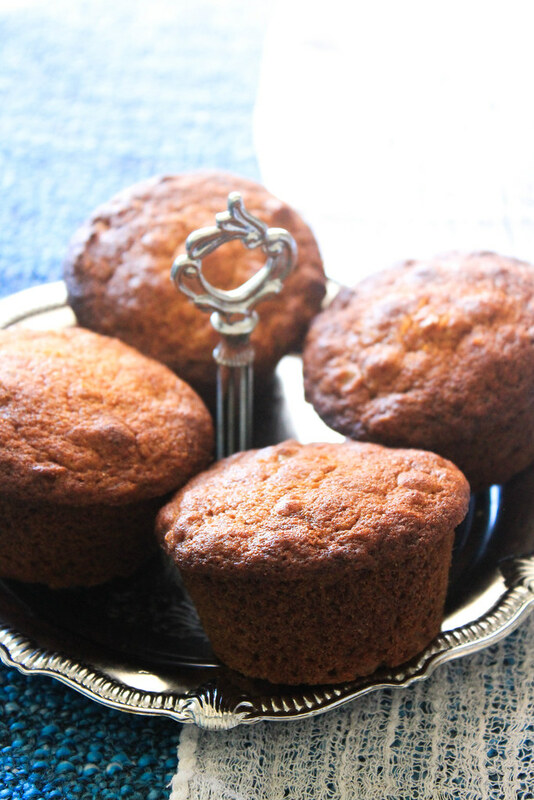 It's clearly mentioned in the original recipe that these do not make the usual sweet muffins. These are very mildly sweet. 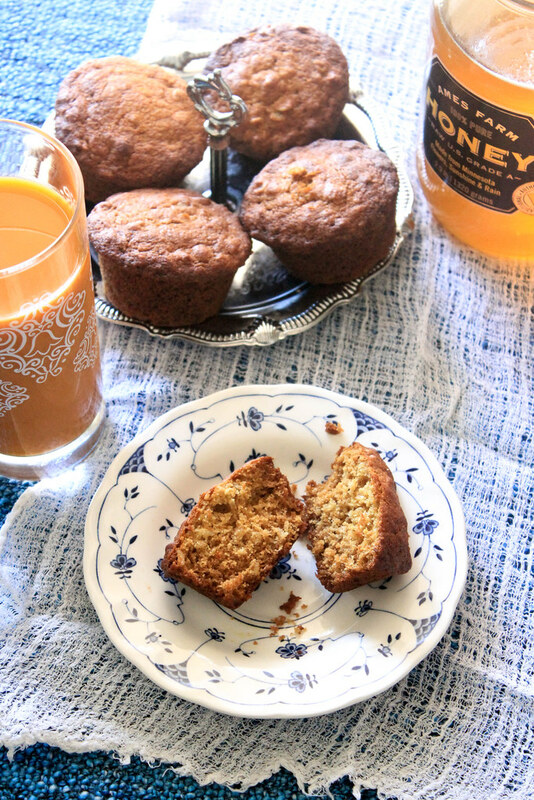 So, when you take the first bite, you will feel that it's not sweet at all.But, once you eat a bit more of it, you will start enjoying the mildly sweet,slightly salty,spiced muffins.Here's the simple recipe for it. Method: Preheat the oven to 375 and prepare a 12 cup muffin tin. In a medium bowl,whisk together the dry ingredients. In another bowl, whisk together the wet ingredients.Pour the wet ingredients into the dry and fold in gently,until just incorporated.DO NOT over mix. Pour 1/4 cup batter into the muffin cups and bake for 18 minutes or until done. Let them cool in the tin for 5 minutes, then transfer to a rack.Serve warm or at room temperature. Like I mentioned before, when I took the first bite, I did feel that they lacked some sweetness. But as I went ahead with it, I enjoyed them being less sweet.So did Jobin. 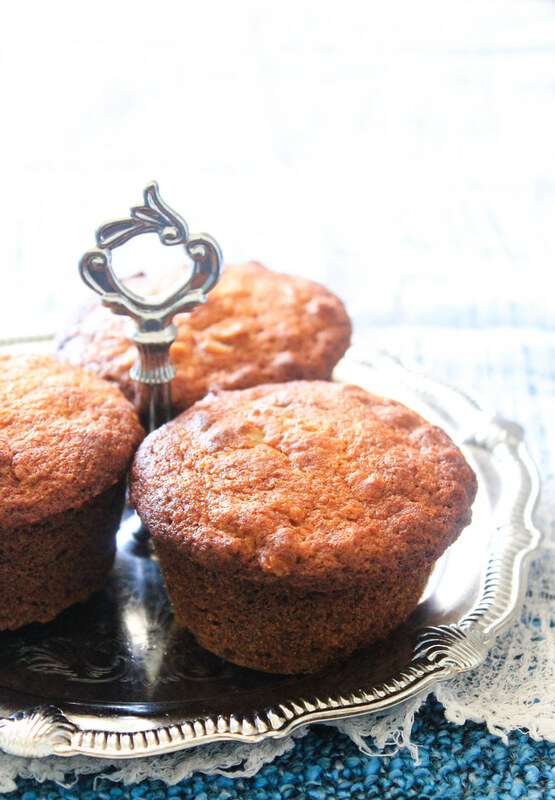 I have a very sweet tooth, but sometimes,I prefer eating things which are healthier even if it lacked some sweeteness.These muffins are actually good for you. They use a lot of good ingredients ,therefore, you can munch on them guilt-free. Jobin is away for 2 days,so when he left, I packed some of these muffins for him to take along. I really enjoy packing some homemade snack whenever we travel, because, you never know when you are going to feel sick eating outside all the time! 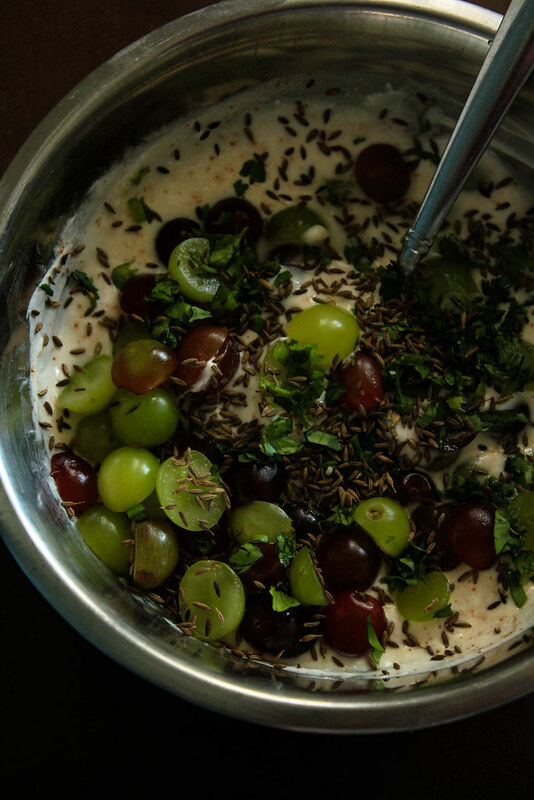 I never thought a combination of fresh grapes and yogurt could be this good! I saw this recipe in my friend Raghavan Iyer's latest cookbook, Indian Cooking Unfolded, a few weeks ago but never got around to making it until recently. It was like a revelation to me. It really changed the way I looked at combining fruits with spiced yogurt. I am thinking of pineapple and yogurt next! What do you think? I was making my Kerala Style Beef Biriyani that evening and since we had friends over, I thought of making some Raita to go along with it. Jobin & myself like to have our biriyani's as is. We don't like mixing it with the usual accompaniments. 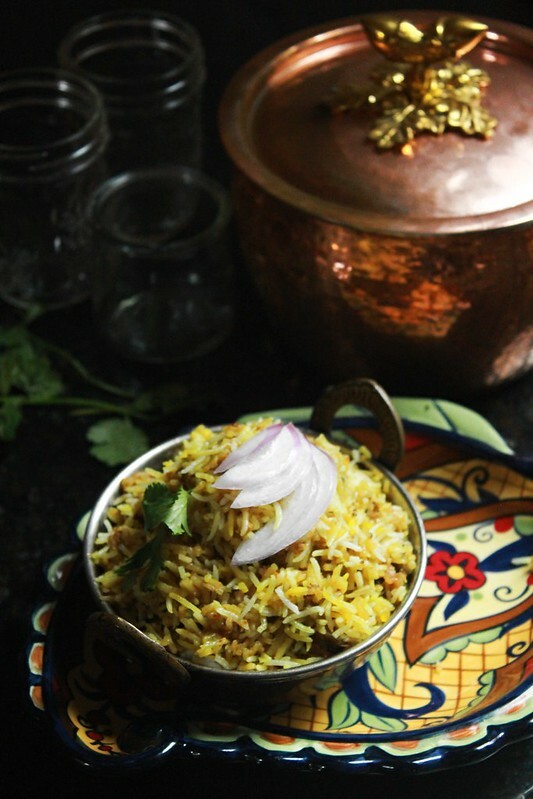 But,like I mentioned earlier, I made it just incase our friends wanted something to mix their biriyani with. It turns out even they liked their's plain.Even then, they did take a spoonful just to taste the 'new' raita I told them about. 'The raita is awesome', was their only reply. I tasted it as soon as it was made and knew it would hit the spot with everyone! And it sure did! 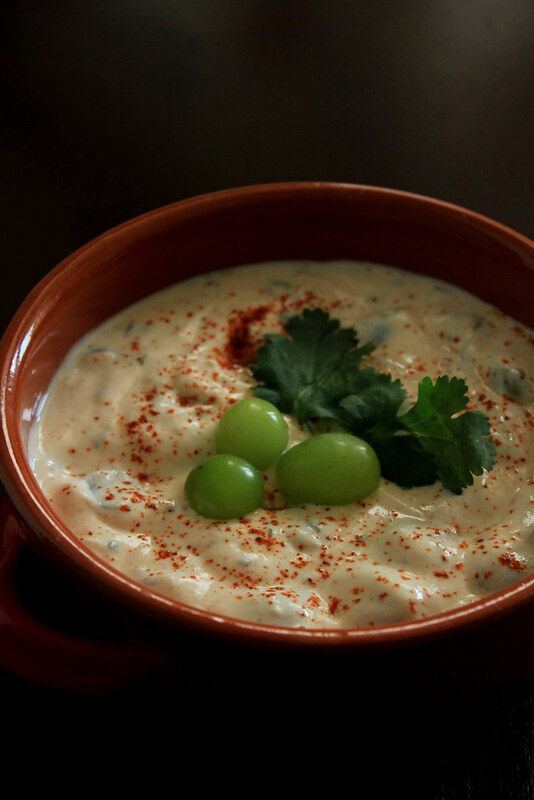 Method:Whisk together yogurt,salt & red chili powder.Add the dry roasted cumin seeds along with the grapes and cilantro and fold it in. Serve chilled. 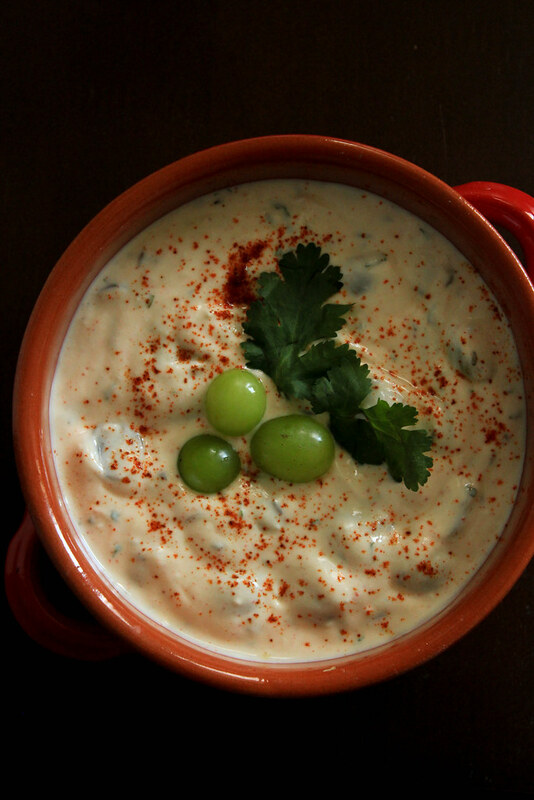 This raita will keep in the refrigerator,covered,for up to 5 days. Mr. Raghavan also suggests that we can toss the remaining raita with some greens for a luscious, low-fat, oil-free dressing! How cool is that? We have a Farmers Market every Thursday, a block away from our house.They sell a variety of produce, cheese etc and so,it's very convenient for the two of us.They even sell excellent Plantains, just like the ones we get in Kerala,soft and ripe. It's hard to find a good one here,otherwise. During my last visit to the Market, I bought some strawberries as we had company the next day,for dinner. I had so many plans on my mind regarding them but then some things didn't work out as I had planned, therefore,I ended up making this delicious pie I spied on Jennifer's blog. 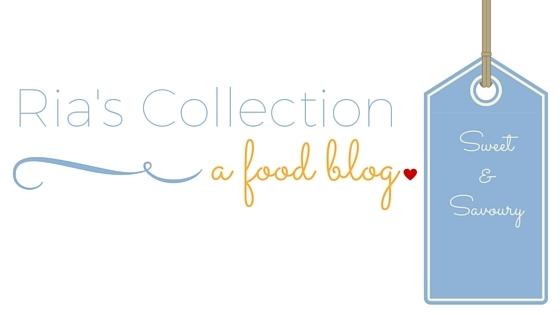 We make a lot of new friends in real life, which have a connection with this little food blog of mine.I am ever so grateful for that! I had to stress on the real life because today, it's all about virtual connection. Imagine meeting those people who have been quietly reading this blog all these years and then they move to your city for work, this time all the way from India! And once we connect, we have so many common friends! 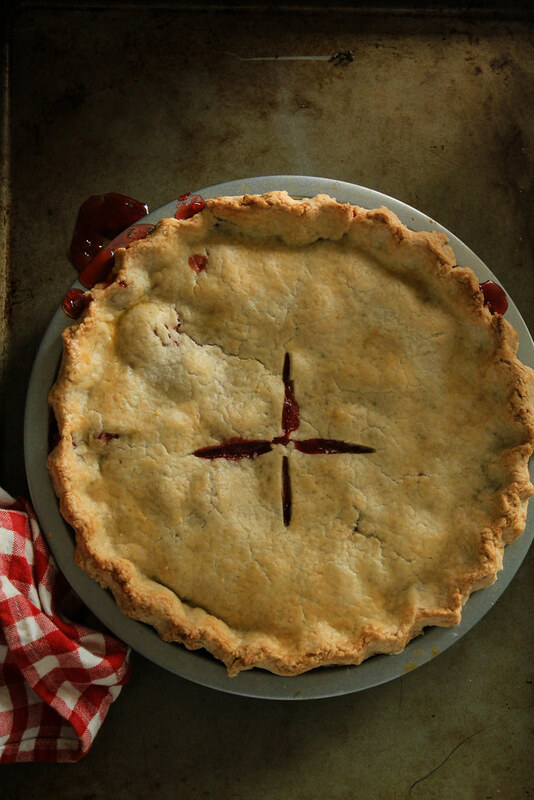 That really makes this world so small.So I baked this delicious Strawberry Pie for our new friends. Welcome to our part of the world, J & A! Crust: In a medium bowl,whisk together flour,salt& sugar. Cut the butter into small pieces,add it to the flour and rub it in till they form pea sized crumbs. Add the cold water by the tablespoon and form a soft,non-sticky dough. Divide it into two, clingwrap and chill it while you get the filling ready. Filling: In a medium bowl, toss all the ingredients together.Set aside. Assembling & baking : On a lightly floured surface, roll out one portion of the dough to fit the bottom of the 9 inch pie pan and line the tin gently without stretching the dough. Spread the filling over it and level the top. Roll out the other portion of the dough and place it over the filling. Fold the raw edges over and crimp as desired. Make slits in the centre, to let the steam escape while baking and bake for 15 minutes. Lower the temperature to 350 F and bake for another 25-27 minutes. Let the pie cool completely before slicing in. 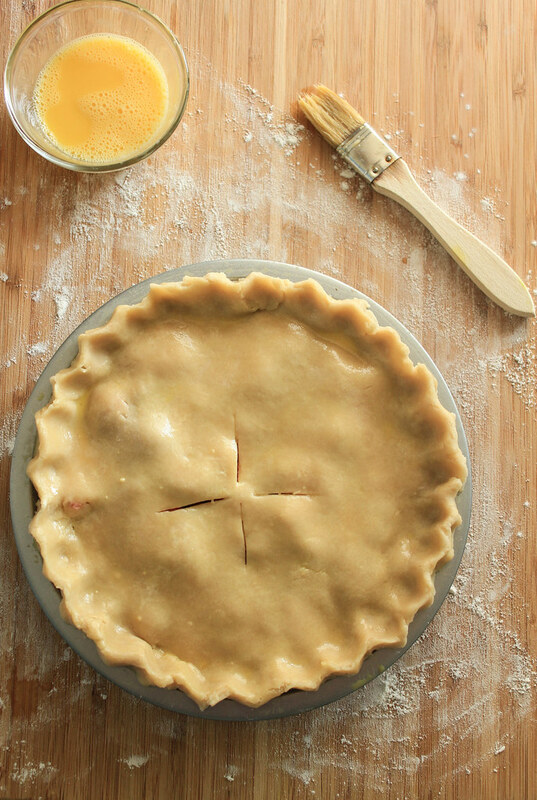 * If you want a shinier crust, brush the top crust before baking with a beaten egg mixed with a splash of water. 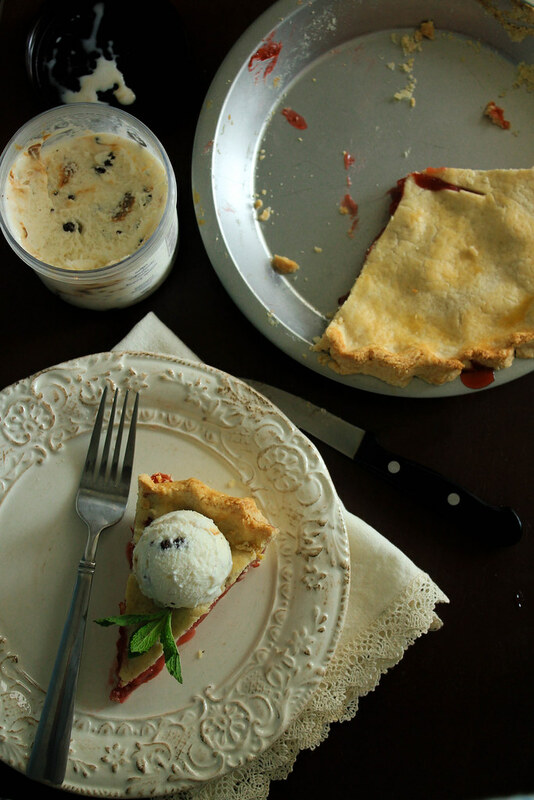 We really,really enjoyed digging into this delicious pie. I felt that it would pair well with some ice cream, so I served it alongside a Caramel Cookie Crunch Gelato. Ian loved it and learnt the name 'Pie' over the last weekend! So, I must say, it was a winner all the way!! 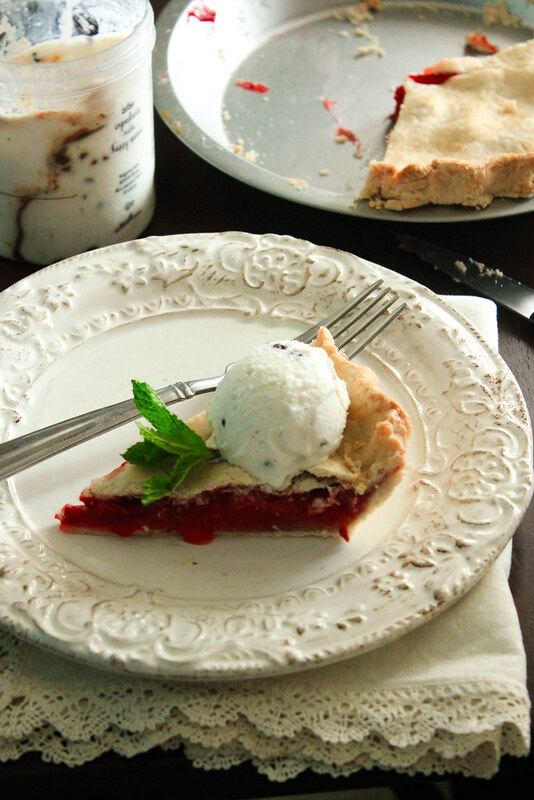 I hope you give this pie a try this summer, when the strawberries are at it's juiciest best! Go, share some love. 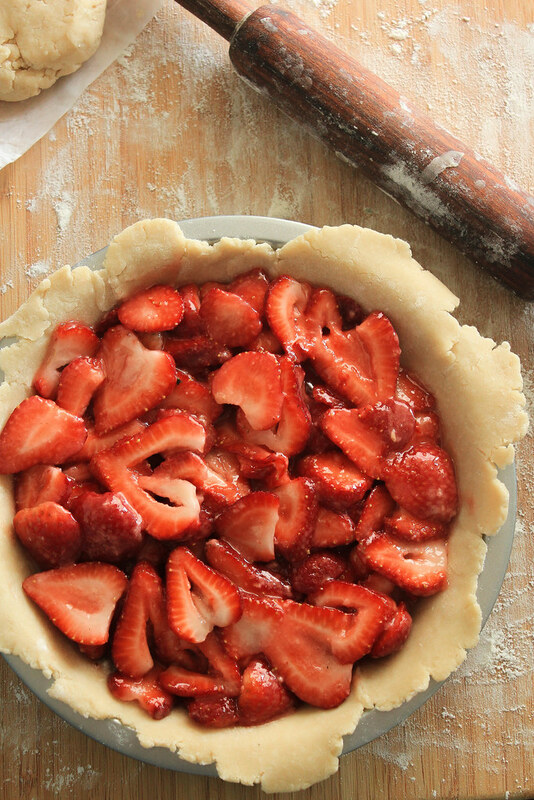 Bake a Strawberry Pie today! I sincerely hope you enjoy it as much as we all did. I've lost count of how many times I've made this curry in the past one year. Amma had sent me a cookbook written by our family friend's aunt. It holds a lot of her precious family recipes which, in today's world, nobody has the time or the patience to make. I quite differ at that because I love to go back to my roots, to know and learn the techniques of what my ancestors made,ate and celebrated. This book holds a special place in my heart, for that particular reason. 'Entae Tharavadu Pachakam' by Aswathy Mathan is a book with detailed recipes for Palaharams, Juices, Curries, Pickles,Rice dishes and even fusion recipes. I can go on and on about how much I love that book. If you can find a copy of it,make sure to grab one .I cannot thank Achu & Jaidev uncle enough, for giving us a copy of that brilliant cookbook! Amma made sure she bought a few more to give to my girl cousins,which I think was a smart move! This curry is a very quick one and totally delicious. I don't think this is a typical Kerala style chicken curry. There's nothing coconut about it. It reminded me of a chicken curry our maid ' Vanilla' (yes,that was her name!) made for us in Bangalore. Her method and ingredients were totally different but,somewhere,this curry reminds me of her. 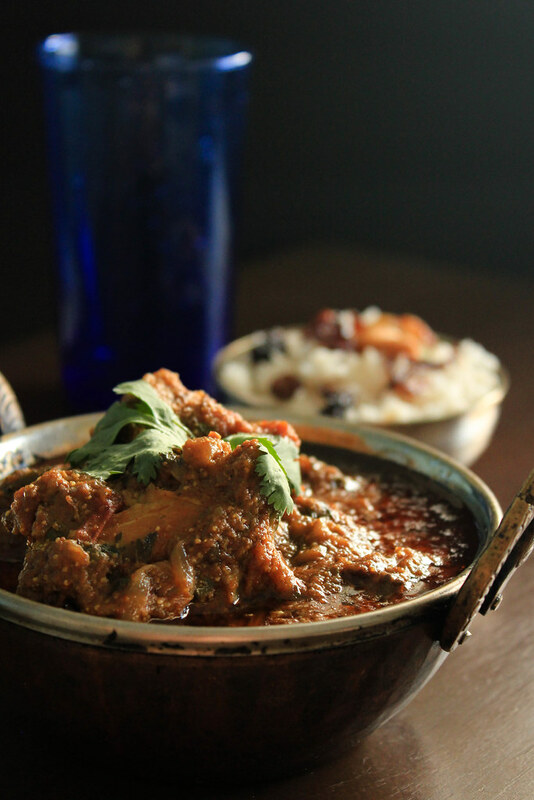 Anyone,who knows how to light a stove,can make this curry with perfect results! In the smallest jar of your mixie, add all the ingredients for the wet masala and keep aside for 15 minutes. Then grind into a thick paste.Keep aside. In a large pan with sides, heat the oil on medium high heat and saute the sliced onions till they are soft and almost starting to turn brown.Add the ground wet masala and cook for 3-4 minutes till they roll back and form a thick paste.Add the chicken pieces and salt. Mix well. Cover and cook till the chicken leaves its water. Open the lid, add about 1/2 cup water, half of the cilantro. Cover and cook till the chicken is done. Open the lid, add the tomatoes and cook till they are soft, another 2 minutes.Garnish with the remaining chopped cilantro and serve hot! 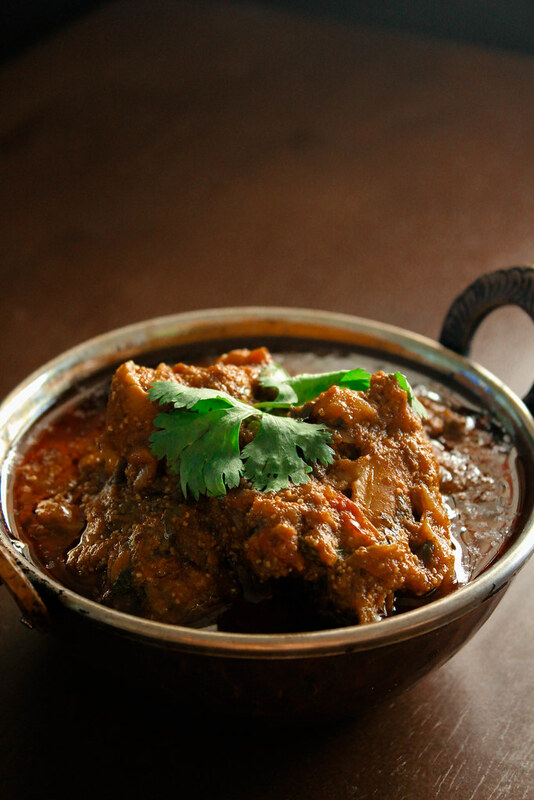 This curry is one our family favourites! Ian loves to eat this with rice and Moru Kachiyathu. We both eat this with Chapathi as well as rice. 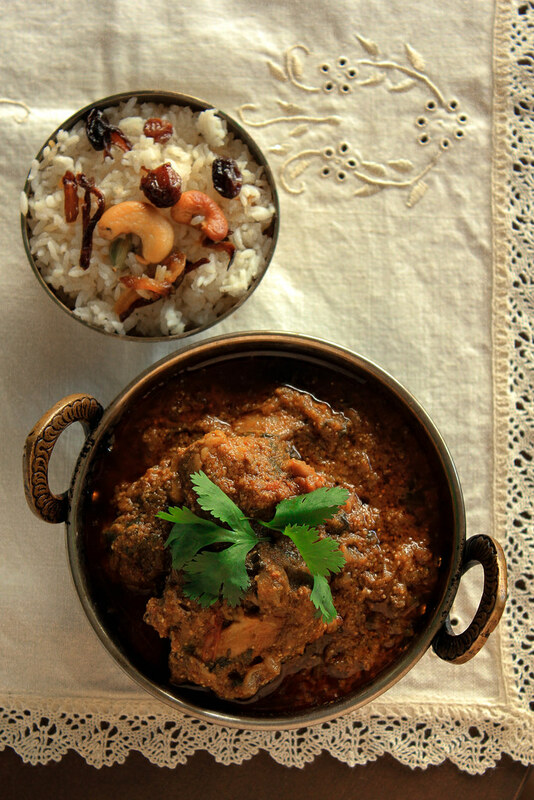 It's such a versatile one, you can serve it with almost anything that you serve chicken curries with. The earliest possible memories I have of these triangle goodies are from the Exhibitions in Kannur. Peramma, Amma, Prinu,Ritchie and myself would go there, every year. We would shop for block printed bed spreads, fancy sandals, peanut chikkis, stand in the long queue waiting for our chance to go for a ride on Break Dance, Tora Tora and then stop by the only joint which sold samosas and chaats. I couldn't even bear the sight of those things then. I don't know why but I never ate chaats and samosas until much later! I hardly have any regrets in my life so far, but if I wanted to, I could regret for not eating these delicious deep fried goodies back then. I mean, first of all anything made with potatoes tastes good and if they are wrapped in carb rich flour packets and deep fried,nothing can beat it! Years flew by and I moved to Bangalore for my higher education. Those years were some of the best years of my life so far. That was the time when I explored a lot more about our Indian cuisine. Somehow that Samosa chaat stole my heart. 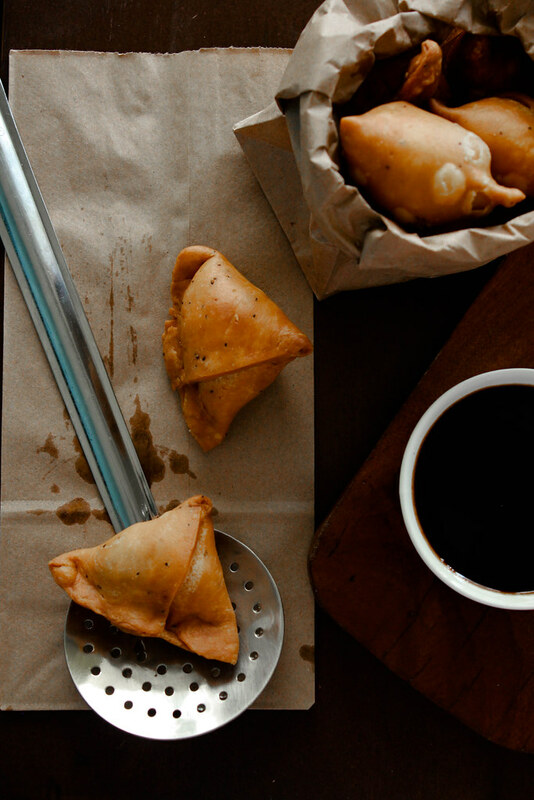 From then on, I would eat Samosa's too as if it was the only food on earth. Even now, in Minneapolis, I know of a place which sells the best Samosa Chaat that you could possibly find in the next 100 mile radius. When I was pregnant with Ian, I would ask Jobin to take me to that place and I would just gorge on those delicous brown puddle filled with chickpeas,tamarind sauce & Samosas. Even though my love for these things grew by the year, I never attempted these at home. Just for one reason. What if I cannot make them the way they make it at that restaurant? What if the crust bubbles up? What if shell doesn't hold it's shape? After pondering on these for quite a few years, I decided to take that big step and make it. Trust me, I should have tried it earlier! It turned out very well and thanks to Dassana for that awesome recipe. 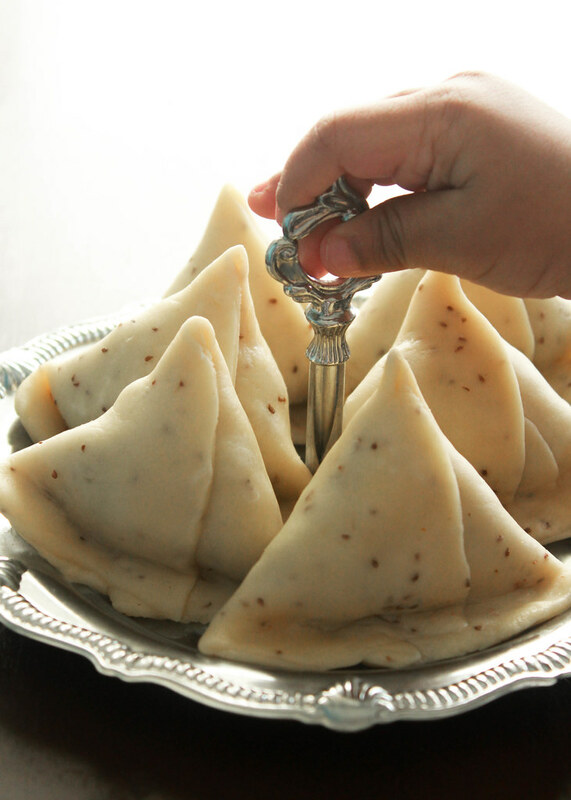 Pastry :Mix together flour, salt & carom seeds. Add the ghee and rub it into the flour. It should hold together when pressed. Add water little by little and form a firm dough. Cover the dough with a wet paper towel and let it rest for 45 minutes. Masala Powder: Dry roast all the spices and when cooled, grind them to a fine powder.Set aside. Filling:Heat oil, crackle the cumin seeds.Add green chili & ginger. Saute for 30 seconds.Add peas, chili powder, asafoetida,masala powder and saute for 2-3 mins. Add the potatoes & peas and mix well to coat. Let the filling cool.Divide them into 12 portions. Shaping: Divide the dough into 6 equal parts. Roll them out into thin discs and cut them into two.You will now have two semicircles of dough. Take one semi circle and apply water to the straight edge, fold them in such a way that they over lap and form a cone. Fill them and seal the remaining open edges with water, folding the seam a little bit while doing so, so that they stand better. 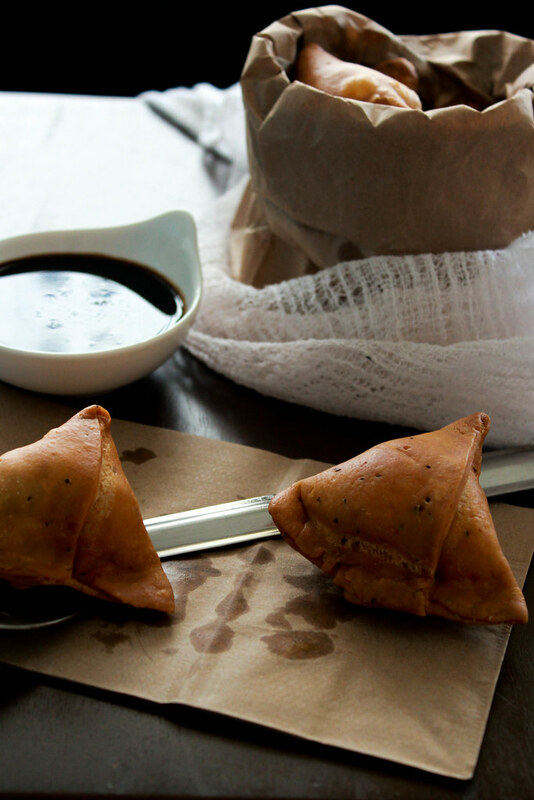 Frying:Heat the oil, till when a piece of dough is dropped, it comes up to the surface immediately. 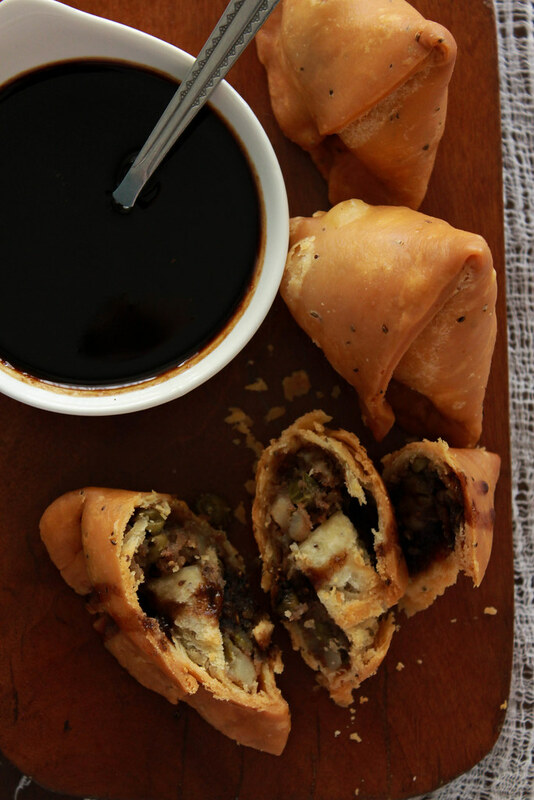 Slide in the samosas and immediately, turn down the heat to and fry till golden brown. The heat is reduced so that the pastry doesn't bubble up. It will take a good 6-8 minutes for them to get done. Increase the heat of the oil before starting with the next batch and continue with the process until you finish frying them all. Phew! That must have been the lengthiest savory recipe I've written for the blog,so far! Never mind, it's actually an easy one to make. It's just that you need to read it properly before starting with it.We totally relished this one and I am looking forward to making the same again! We are back from India and this time we both (Jobin & Myself) celebrated our birthdays alone, so yeah, that's why you didn't see any of our usual Birthday cakes here this time. 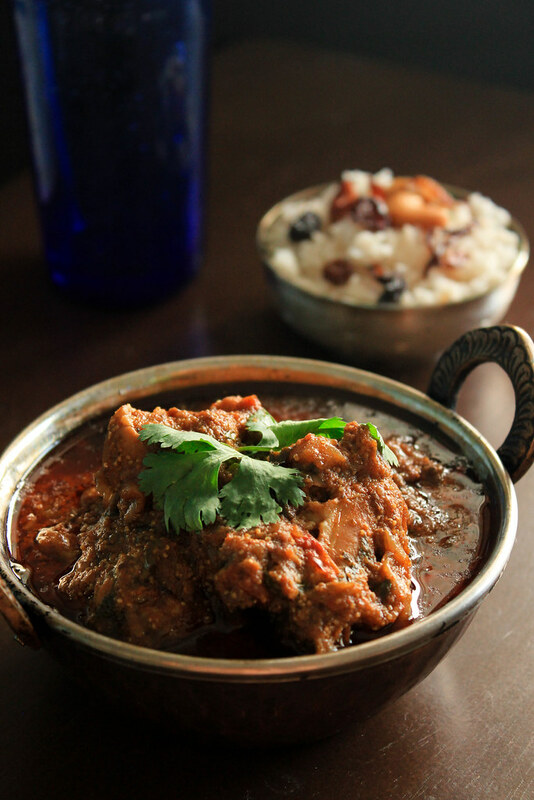 On another note, there's a delicious Chicken Curry recipe that's coming up next. Watch out for it! 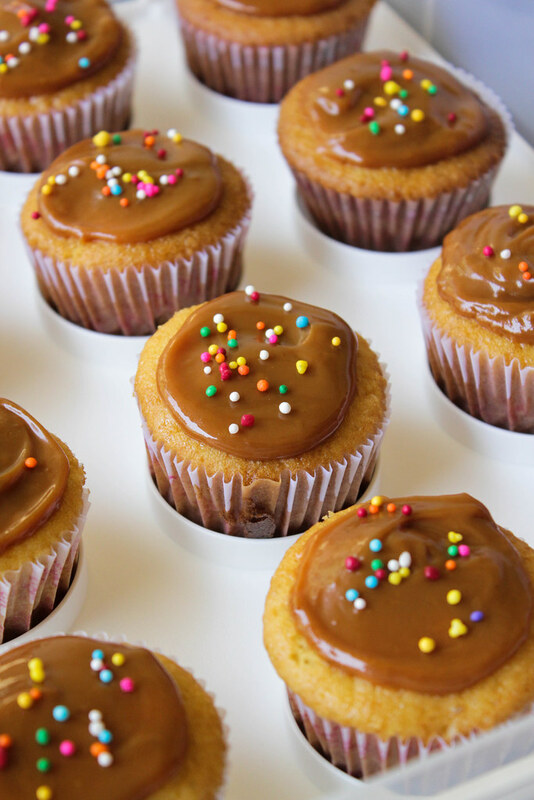 It's super delicious and very very quick to make.